My bike was retrieved today after being stolen last night. I’m very thankful for this technology! Are you able to tell me the geolocations for where the bike was over the last two days? We were really glad to know that Sherlock successfully helped in getting Christopher’s bike back and wanted to know more. We asked Christopher to have a chat with him, and here is what he told us. It all started when I left my Specialized Allez XL over the weekend at my office. I usually ride my bicycle to work and park in front of the office, but there was a work event on Friday and they had to take some photographs at the entrance, so I parked at the back. Then that night at the event I had one drink too many and I thought it would not be wise to ride home. Eventually, a friend offered me a ride and I left the bike at the office over the weekend. 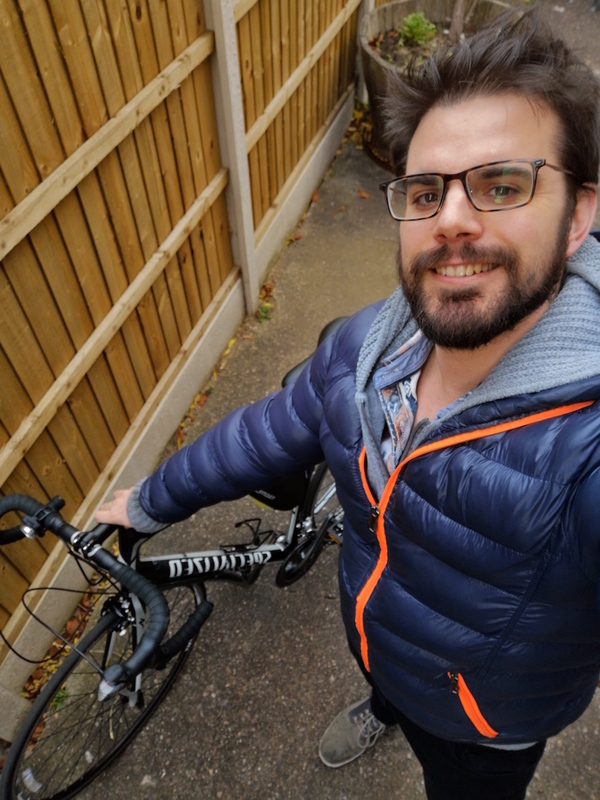 Then on Saturday I didn’t feel like getting out of the house, so I returned to the office to pick it up on Sunday around midday, just to find out that the bike was gone. I leave Sherlock on theft mode all the time, because I find it easier that way, so I didn’t get a push notification on the app when the bicycle was stolen. Anyways, I was in shock, and I immediately reached for my phone in my pocket to open the app and check my bike’s position. When I opened the app the last signal was from earlier that morning: a location update in the middle of a field in the next county. The position was not accurate, because it was showing a large radius on the map. I went to the nearest police station to report the theft, but they needed more precise information before they could intervene. Then I thought that the security at the office might have some information, so I came back to talk to them, but they couldn’t help me. In the meantime an accurate position came through at 3.30 pm (Christopher had set an hourly location update on his Sherlock, ed). I immediately shared it with the police via email. Since it was a precise GPS position, the officers went and got my bike back in just 15 minutes! They found the bicycle in a bike shop, presented like if it was brand new. The thieves had taken off the pedals and lights and changed them to new ones. I had told the police officers to remove one end cap from the handlebars and look for a USB port, so they could identify the bicycle as mine. The shop owner said that he bought the bicycle from a guy in Newark. The police got a statement from him and they told me they are now investigating since his version is not convincing. He may be charged for the possession of stolen goods. After our chat, we sent Christopher the positions recorded by his Sherlock over the weekend. Once we figured out when the bicycle was stolen, we found someone stealing the bike on CCTV, although the footage was too grainy to be conclusive as to who it was. The Police were going to arrest the bike vendor who was selling the bike, however the GPS information confirmed his story that he had bought it from a trade show in Newark.The GPS showed that the bike had been in Newark and proved his innocence. Thank you Chris for sharing your story with us! Learning how our clients use Sherlock is crucial. We leverage on Christopher’s and other clients’ feedbacks to improve Sherlock and to envision future products. For example, we are now working on enabling remote control, since we noticed that some cyclists forget to switch Sherlock on or leave it continuously in theft mode (as Christopher did), risking to drain the battery really fast. Do you want to tell us about your experience with Sherlock? Let us know at hello@sherlock.bike and stay tuned for future firmware updates! Cuál es costo y el envío a León Guanajuato México? At the moment Sherlock is available in Europe and USA only. Subscibe to our newsletter to be updated on future releases.